Many doctors and scientists have proved that there are many health benefits to green tea. Green tea contains powerful antioxidants which can help rid the body of free radicals. It also contains many nutrients and vitamins which the body needs to function properly. Green tea has also been linked to fighting cancer and heart disease, as well as, lowering cholesterol and reducing the risk of stroke. However, not everyone can drink lots of green tea every day and many can’t take the caffeine in green tea. That is why Zenwise Labs have developed their Advanced Green Tea Extract. This review on Zenwise Labs Advanced Green Tea Extract will look at all the amazing benefits that this food supplement can give you and if it is worth the money. Zenwise Labs Advanced Green Tea Extract contains a unique and potent blend of green tea together with vitamin C. The addition of vitamin C in the supplement gives each capsule even more antioxidant effects. The product also contains decaffeinated green tea extract. This means that you won’t feel the shaky effects of having products which contain caffeine. So, it is quite clear that green tea can help a person to stay healthier for longer. Zenwise Labs Advanced Green Tea Extract with the addition of vitamin C provides all the beneficial health effects. Each capsule contains 725 mg decaffeinated green tea extract and 60 mg vitamin C. This means that each capsule delivers powerful antioxidants to your body, providing both men and women with many benefits. Made in the USA in GMP certified facilities. One serving per day of Zenwise Labs Advanced Green Tea Extract supplements will not only have long-lasting health benefits, like a stronger immune system but also give you more energy throughout the day. Zenwise Labs Advanced Green Tea Extract have carefully selected the best green teas to create their green tea extract. All the caffeine is removed during the processing and then vitamin C is added to make the supplement even more potent. What are the proven benefits of the ingredients in Zenwise Labs Advanced Green Tea Extract? This is a powerful dietary supplement which plays an important role keeping the body healthy. Green tea contains flavonoids and catechins which are proven antioxidants. Green tea also has more of these antioxidants than black tea. Antioxidants are needed to protect the body from free radicals, therefore, it plays an important role in strengthening the immune system and protection against degenerative diseases. Each capsule has 725 mg green tea extract. Vitamin C is a well-known antioxidant and one of the most powerful natural antioxidants. Our bodies don’t produce enough vitamin C naturally, therefore, we have to get it in our diets. The inclusion of vitamin C in the green tea extract means that you get more powerful antioxidants from this supplement than just taking green tea on its own. Research into the effects of green tea together with vitamin C shows that, when these are combined, the overall effect is much more powerful. 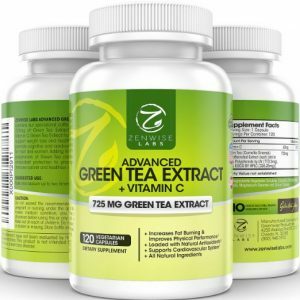 The amount of vitamin C in the Advanced Green Tea Extract supplement give you 100% of the recommended daily allowance. The amount of vitamin C is what your body needs to kill off free radicals which can damage the body’s cell and speed up the appearance of aging. The benefits of taking decaffeinated green tea are well documented. Green tea has many amazing benefits to the body, including boosting the immune system, ridding the body of free radicals, and protecting against various diseases. There are no known side effects of taking green tea in moderate amounts. It seems that most of the reported side effects of taking green tea are because of its caffeine content. However, because Zenwise Labs Advanced Green Tea Extract contains decaffeinated green tea, you will not suffer from these side effects. Each capsule contains 725 mg decaffeinated green tea extract and 60 mg vitamin C. The recommended dose is one capsule per day. 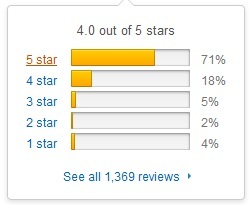 Most customer reviews about Zenwise Labs Advanced Green Tea Extract highly praise it for its pure green tea without the side effects of caffeine. This means that users haven’t experienced the ‘jitters’ or pounding heart that is sometimes associated with green tea supplements. One good benefit of this is that the supplement can be taken at any time of day. One surprising benefit that many Zenwise Labs Advanced Green Tea Extract users have reported is that they have more energy during the day. Where to buy and what is the price? Zenwise Labs Advanced Green Tea Extract can be bought at many online stores and health shops. Each jar contains 120 capsules, which is enough for 4 months supply. A jar costs around $21. Zenwise Labs Advanced Green Tea Extract is certainly one of the best green tea supplements that you can buy. It contains a potent amount of green tea which provides powerful antioxidant benefits. The addition of vitamin C means that the antioxidant effect is increased. The fact that the green tea extract is decaffeinated is also a welcome bonus. This means that the supplement can be taken at any time of day, even before going to bed.